Will It Run? 1972 Camaro Barn Find Sitting for 19 Years!!! What do you think, Will It Run? 1972 Camaro Barn Find Sitting for 19 Years!!! Over the years we have taken you all over the country in order to show you all kinds of different barn finds, come to think of it, we have taken you even out of the country to different states and even different continents to show you what we think are the coolest cars that have been sitting idle for decades. This time however, we are probably going to take you on the shortest journey to show you a barn find, that has been sitting inside the neighbor’s garage for almost two decades, and not just that, we are bringing you a video which will show you what we have to do to it in order to get it started (hopefully) after all that time. So join YouTuber TheCorvetteBen, as he brings this car out of the garage and into the sun for the first time since 2000, and hopefully gets it started. 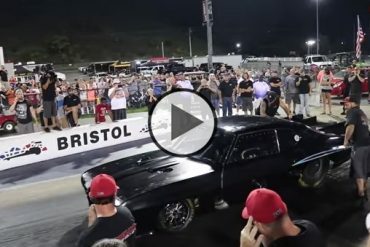 Fireball Camaro vs Boosted Ego at Bristol No Prep! 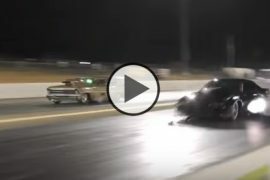 Kye Kelley vs Swampthing for 40k at Tucson Street Outlaws no prep Final!! 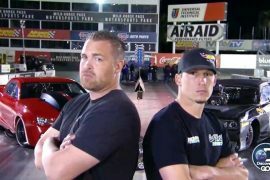 Round 2 of The Mega Race Between Street Outlaws and Gas Monkey for $75K is Here!! Previous articleStreet Outlaws Battle, Doc vs. Daddy Dave for the #2 Spot!! Next articleStreet Outlaws Star Big Chief Leaves Clocks on in Test Pass with Updated Crow!! 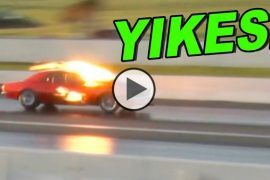 Street Outlaws BIG CHIEF vs. EVERYONE! $100K On the Line!! !